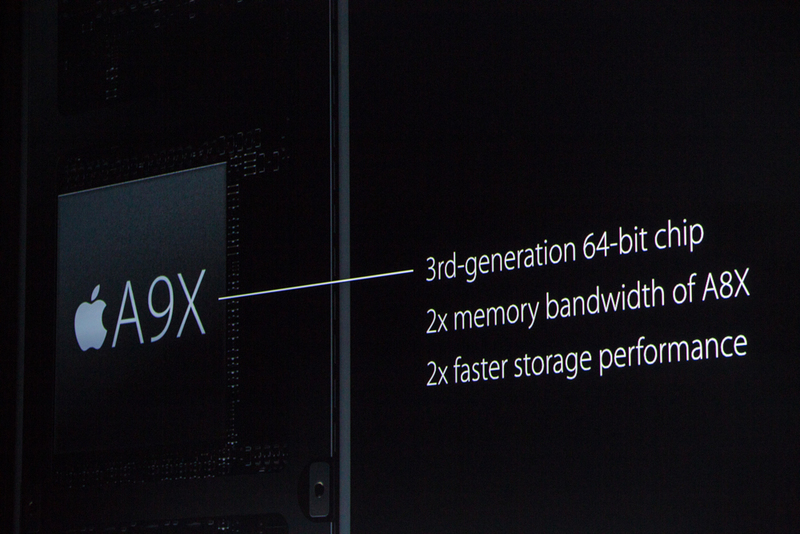 "New A9X chip. Third-generation 64-bit chip. 2X memory bandwidth of previous." A9X: 2x faster storage. 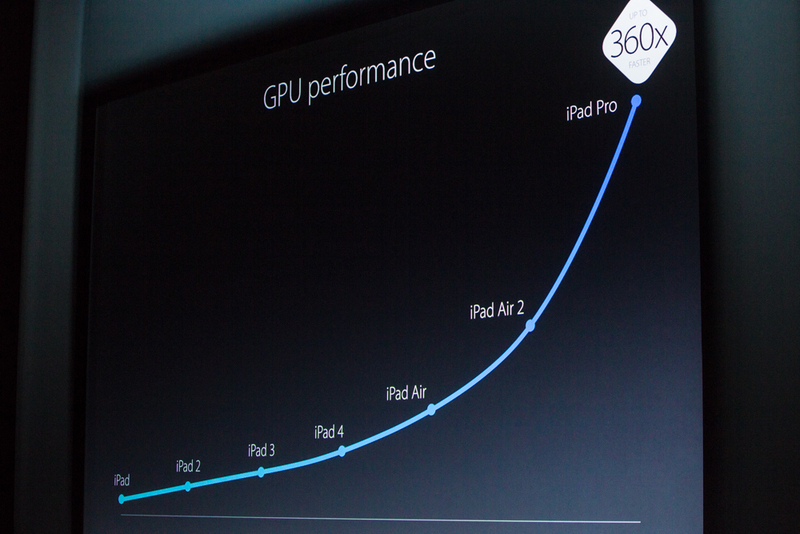 1.8x faster than A8X on iPad Air 2. 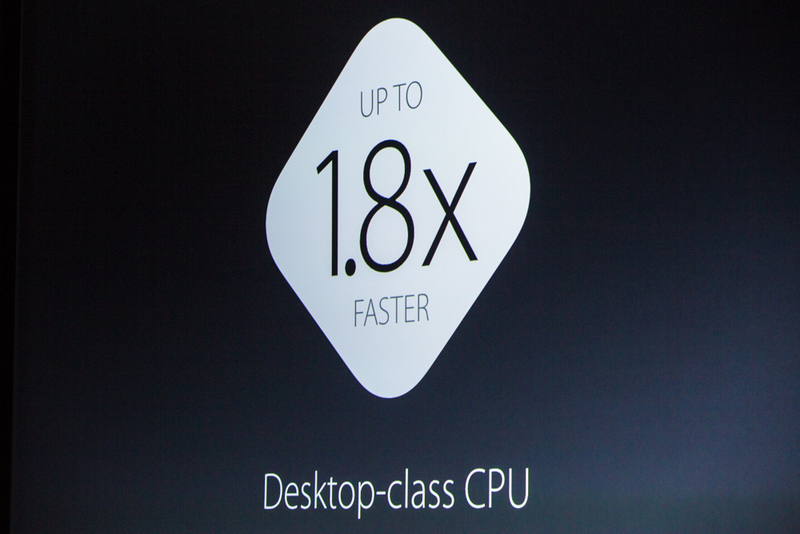 "desktop class performance." So does that mean crossover apps? "Our chip team is just on fire. 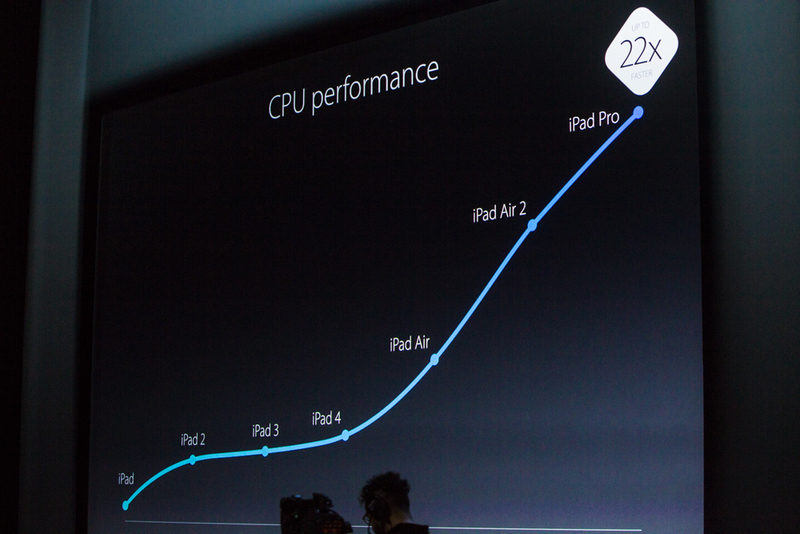 Over the last five years grown performance in iPad 22 fold for CPU tasks." Double graphics over A8X. Over last years, graphics performance has gone up 360X. 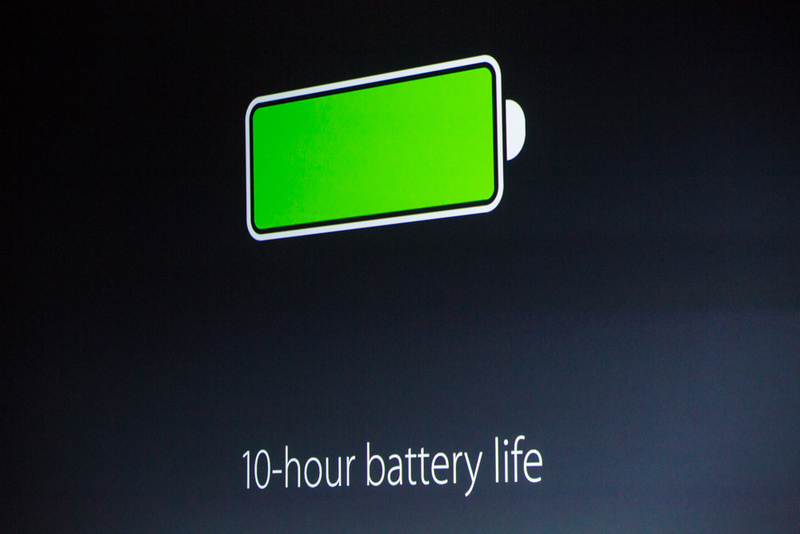 "You combine that fast hardware with great software in iOS 9 ... and you get incredible performance." 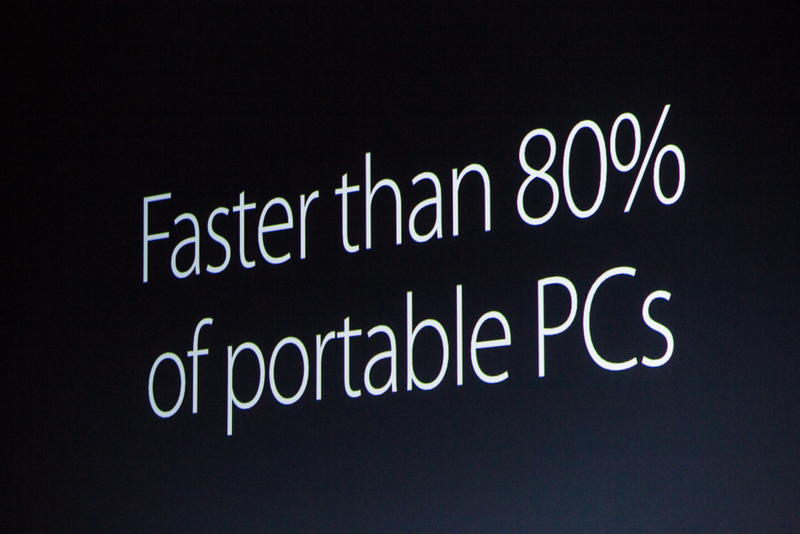 "It is faster than 80% of the portable PCs that shipped in the last 12 months." "It's going to enable new classes of applications for iPad. This is AutoCad 360 from AutoDesk." "We thought this display deserves a great soundsystem. For the first time ever, we have a four-speaker audio system." "Automatically balances the left and right depending on how you're holding the iPad." 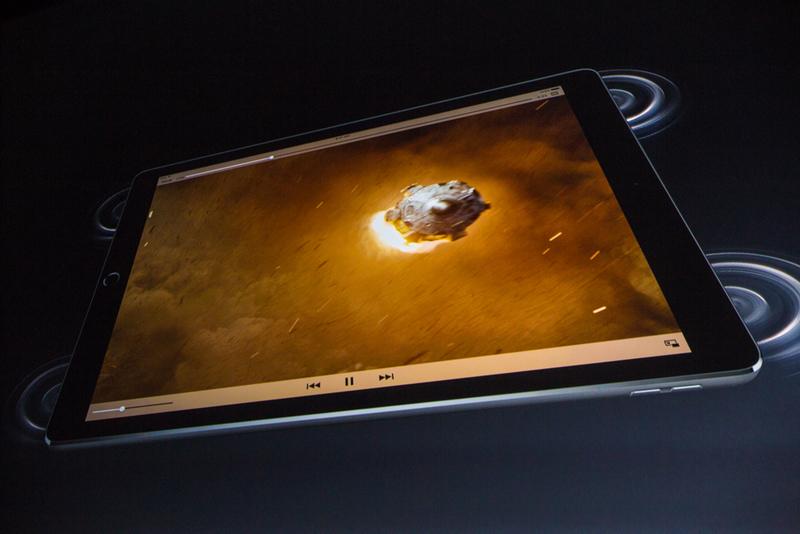 "It puts off 3X the audio volume of the iPad Air 2." Four speakers, balancing sound and frequencies, 3x volume of iPad Air 2. That's good because iPad Air 2 speakers really weren't good. 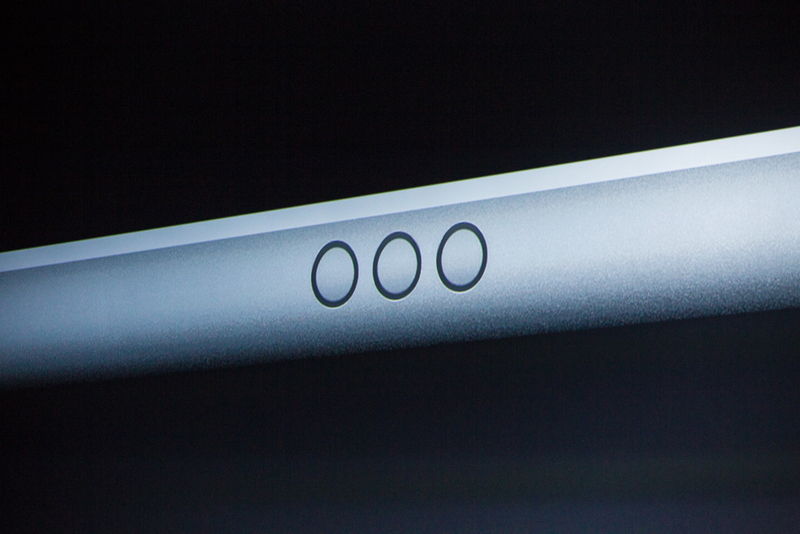 "iPad Pro is 6.9mm thick. 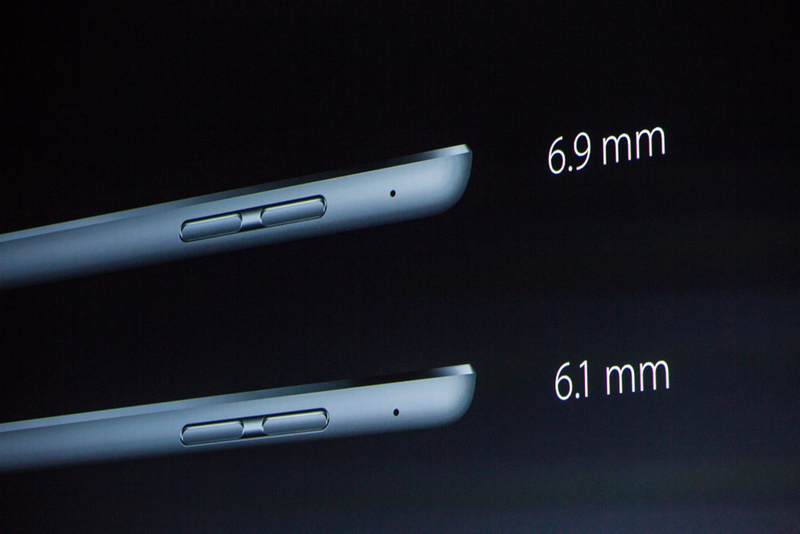 iPad Air is 6.1"
1.57 pounds, 6.9 mm thick. comparing to original iPad, which had similar weight. 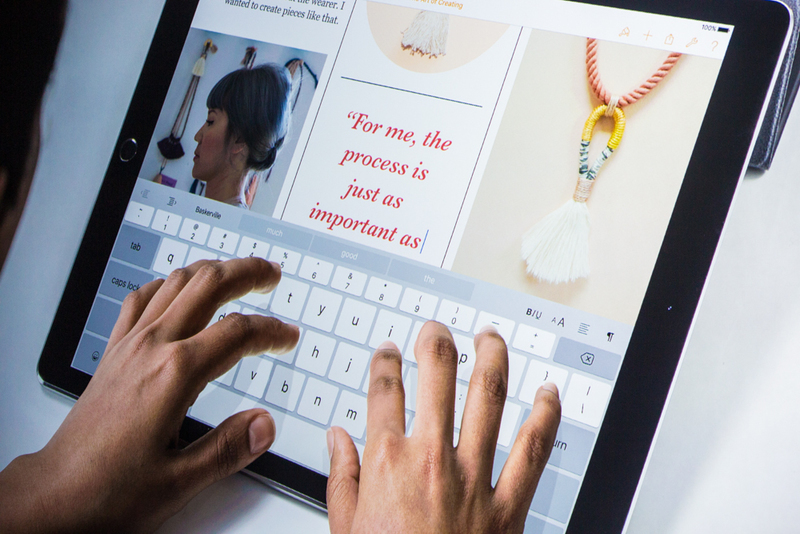 "This is an amazing iPad, but the story doesn't stop there." "Let's go back to that software keyboard. It's a great keyboard." That's not a one-hander. But a 12.9-inch iPad probably wasn't going to be anyway. 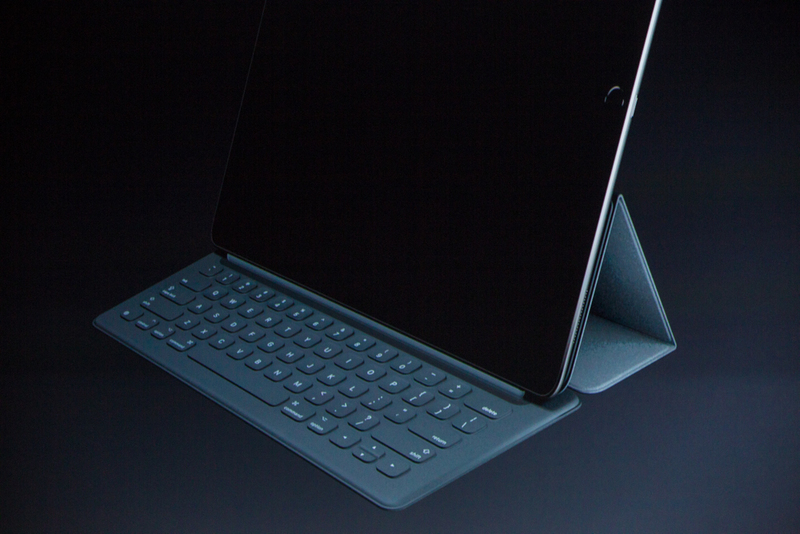 "Because we're enabling applications not possible before in an iPad, sometimes you like the convenience of a physical keyboard."